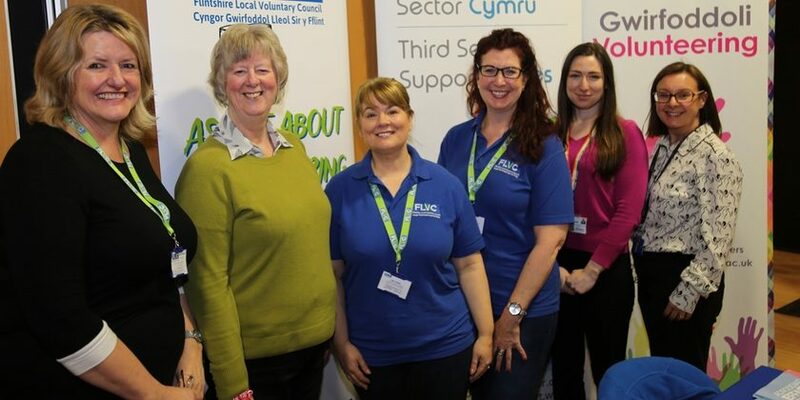 A volunteering fair has been held at Wrexham Glyndwr University to develop volunteering opportunities for students with organisations across the region. Attendees – including the Wrexham-based Erlas Victorian Walled Garden, Llanfynydd’s Clwyd Special Riding Centre, national charity Action for Children and more – took part in the fair at the university’s Catrin Finch Centre. Organiser Angela Corbett, who works as a student advisor for Employability at Glyndwr, said: “Our students are often looking to gain experience and to put the skills they are learning at university to use, and offering their time as volunteers not only helps provide them with that experience – it also benefits the organisation and communities they are working for. “Similarly, organisations are often looking for volunteers with particular skills – skills which we are develop in our students. Ann Woods, the chief officer of Flintshire Local Voluntary Council, spoke at the opening of the event and set out how her organisation is working with Glyndwr to help boost volunteering across the region. She told attendees: “The Third Sector provides training and real-life experience to complement the studies of the many hundreds of students accessing this setting and we are keen to work with Glyndwr staff, volunteers and students to develop this further. “We also mustn’t forget the potential of the third sector as a future employer – I would suggest any course, at any level, accessed through this university and our further education colleagues could be complemented by voluntary work and community-based learning through third sector organisations. Students from a diverse range of courses across the university attended the event to find out more about opportunities on offer throughout the day, and lecturers whose courses involve volunteering elements were also on hand to speak to attendees about how they could help.